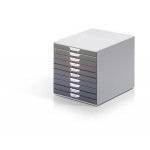 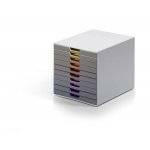 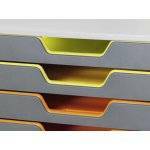 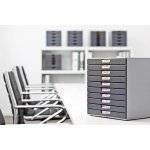 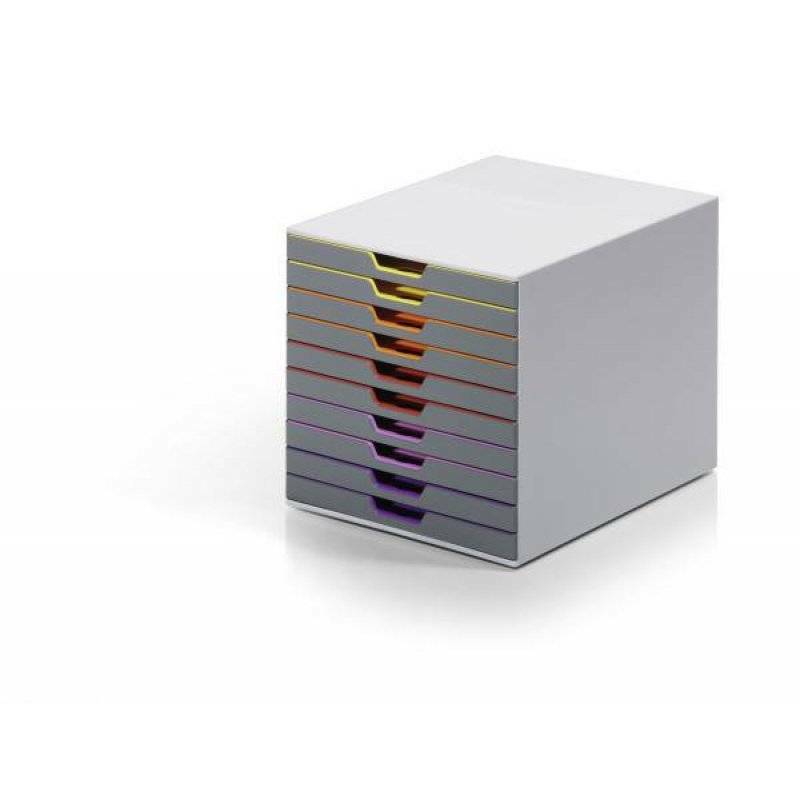 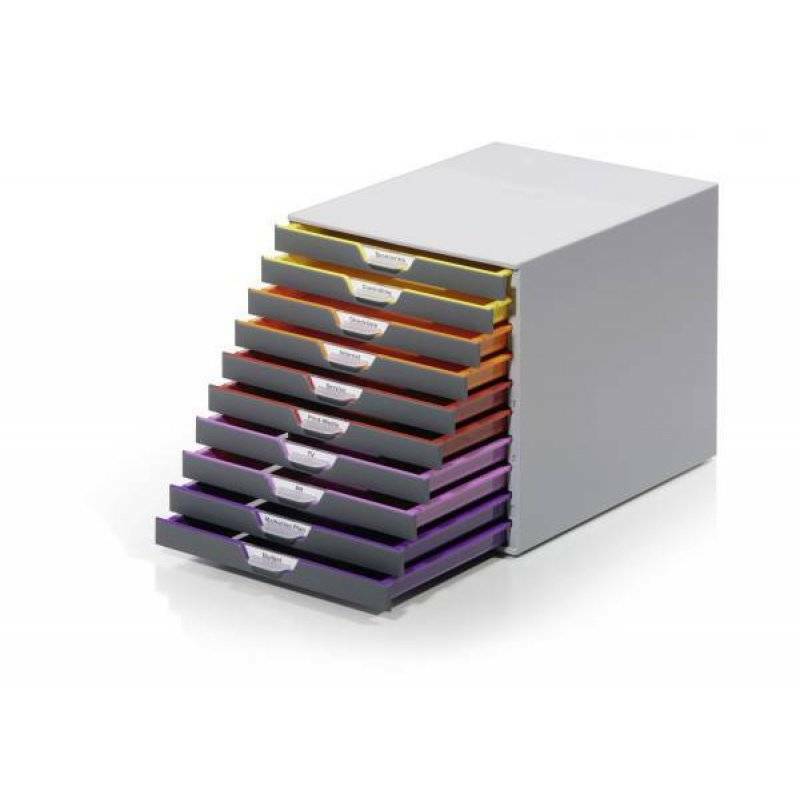 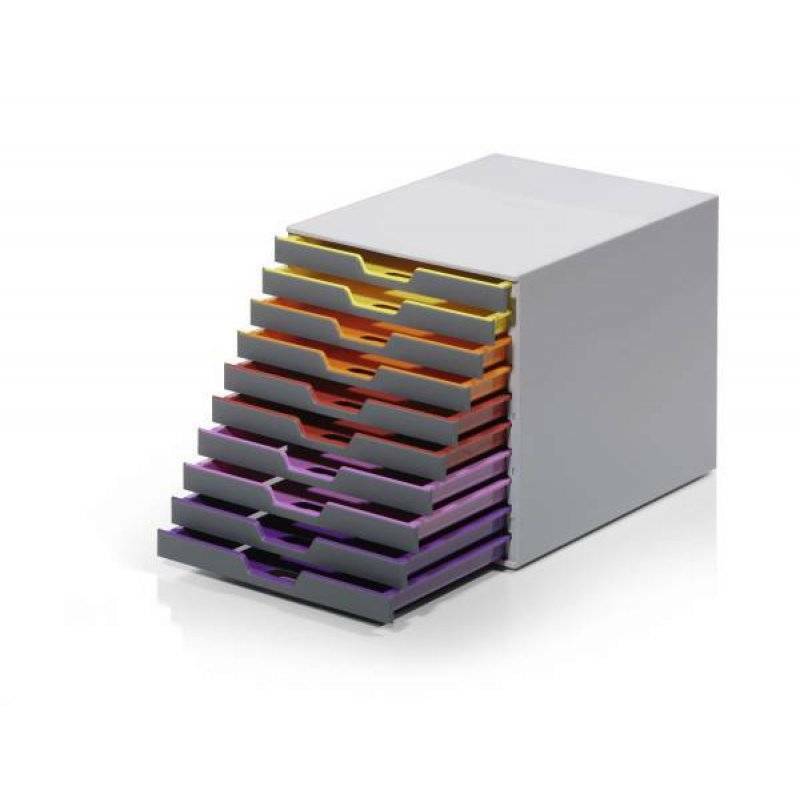 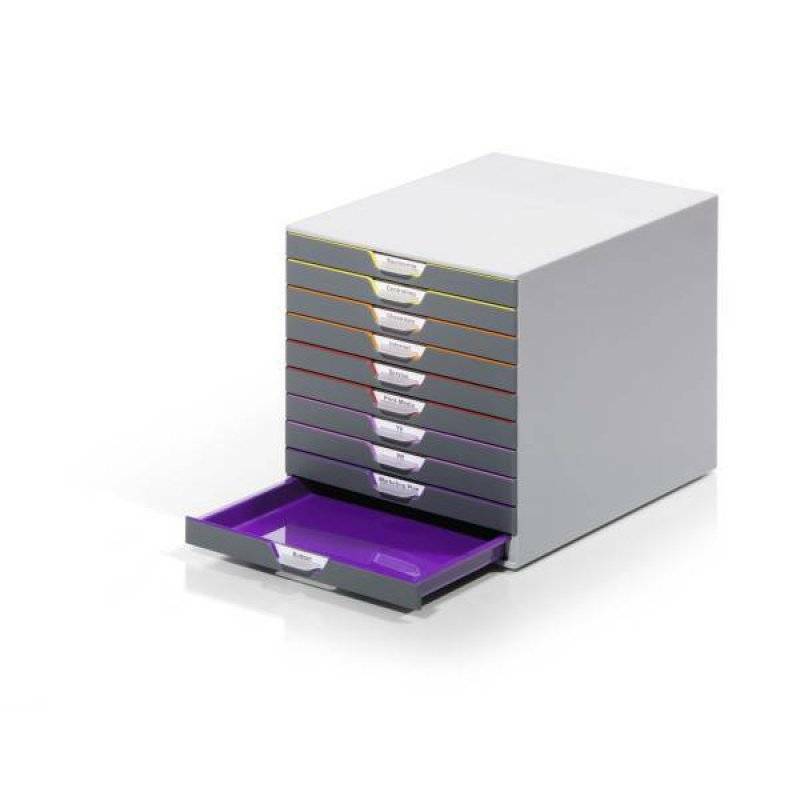 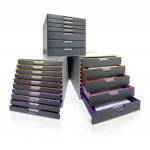 Attractive, innovative drawer box with 10 colourful drawers made of premium-quality plastics. 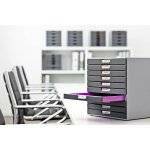 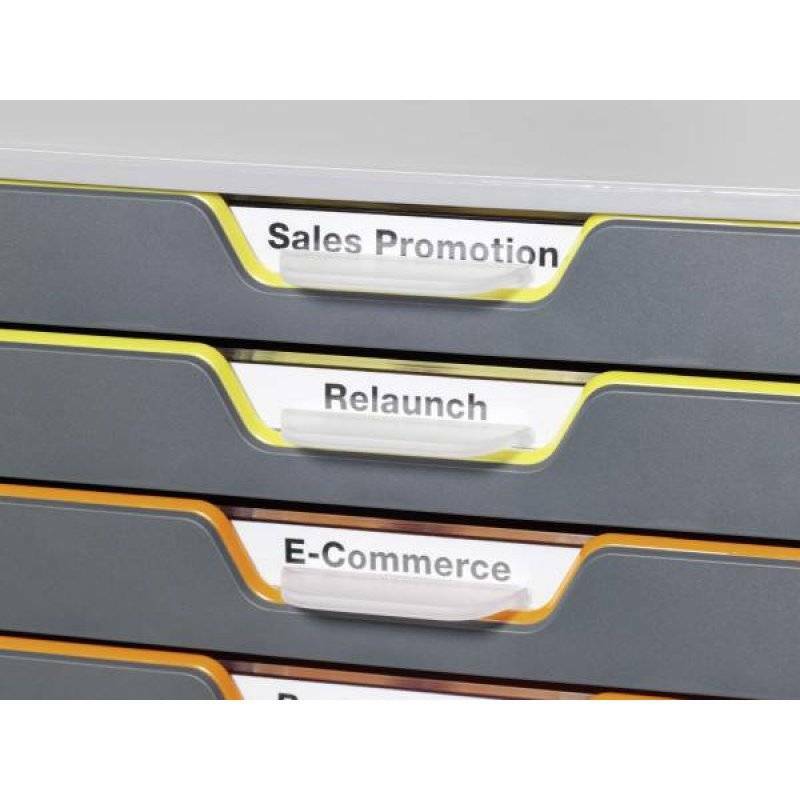 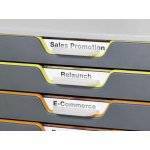 Each drawer is colour coded to aid document organisation. 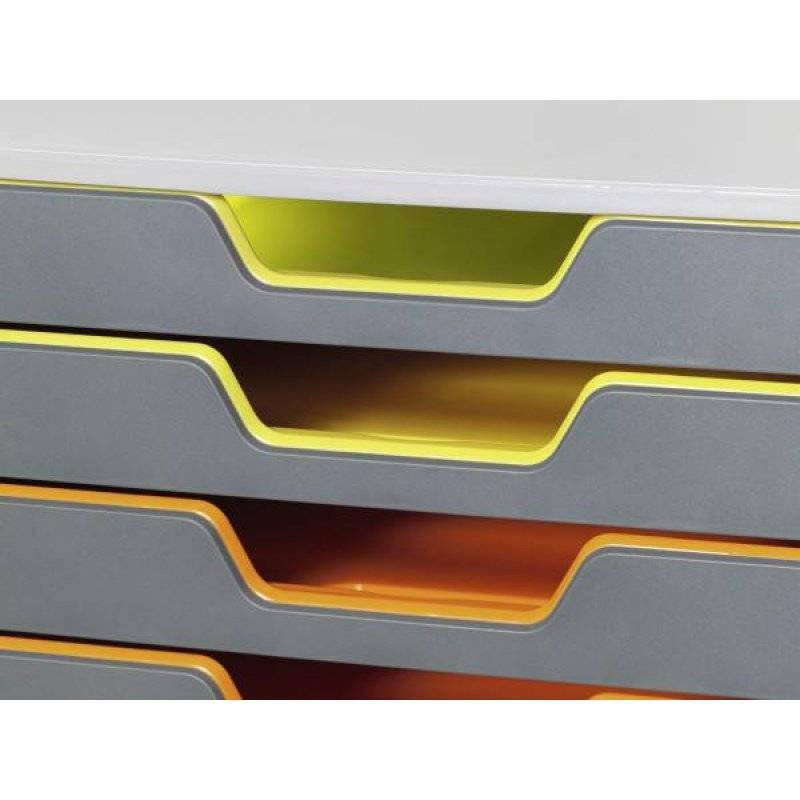 The drawers open smoothly and soundlessly, with drawer stops. 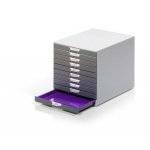 Suitable for holding A4, C4, folio and letter size formats. 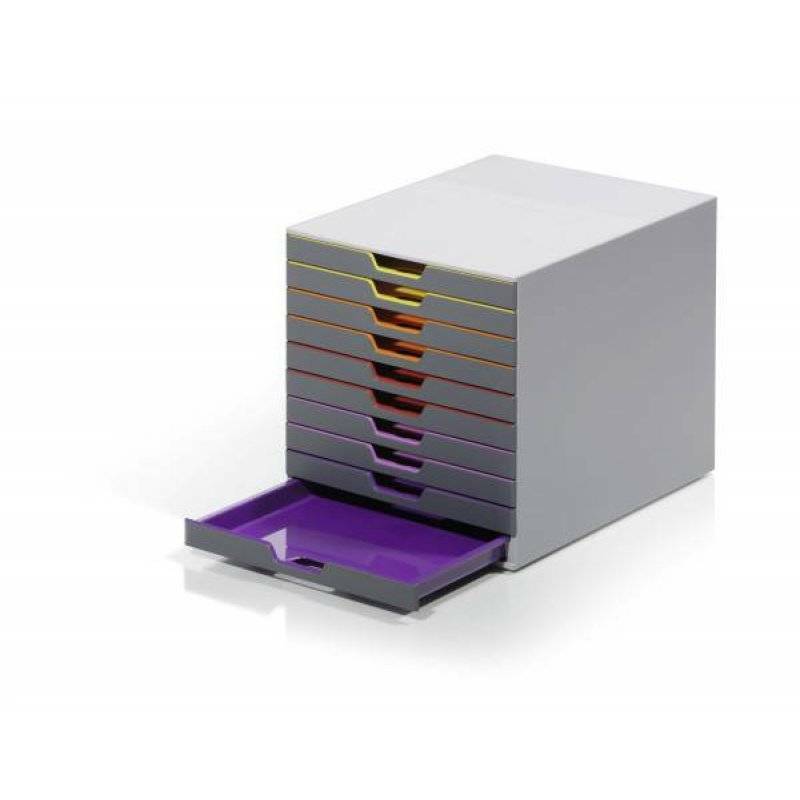 The box comes with transparent labelling windows and EDP-printable, easy-to-exchange label inserts. 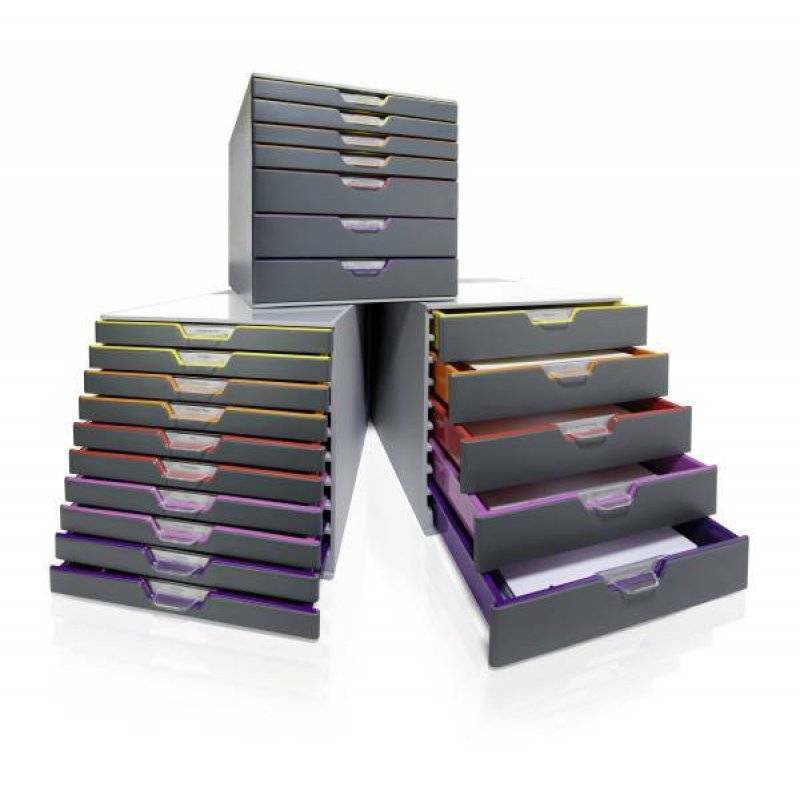 The drawer box is stackable with skid proof plastic feet. 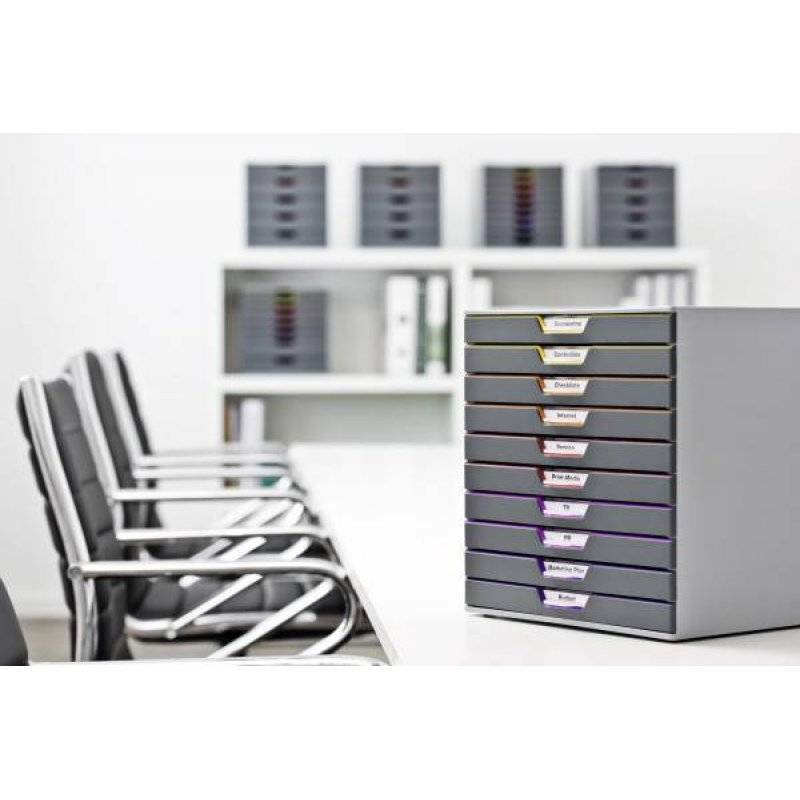 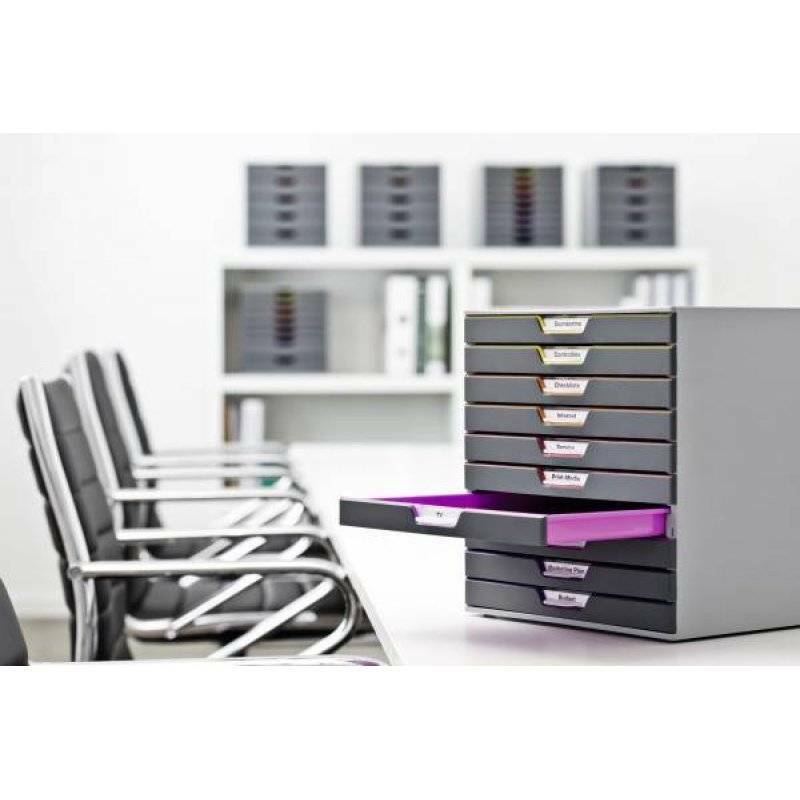 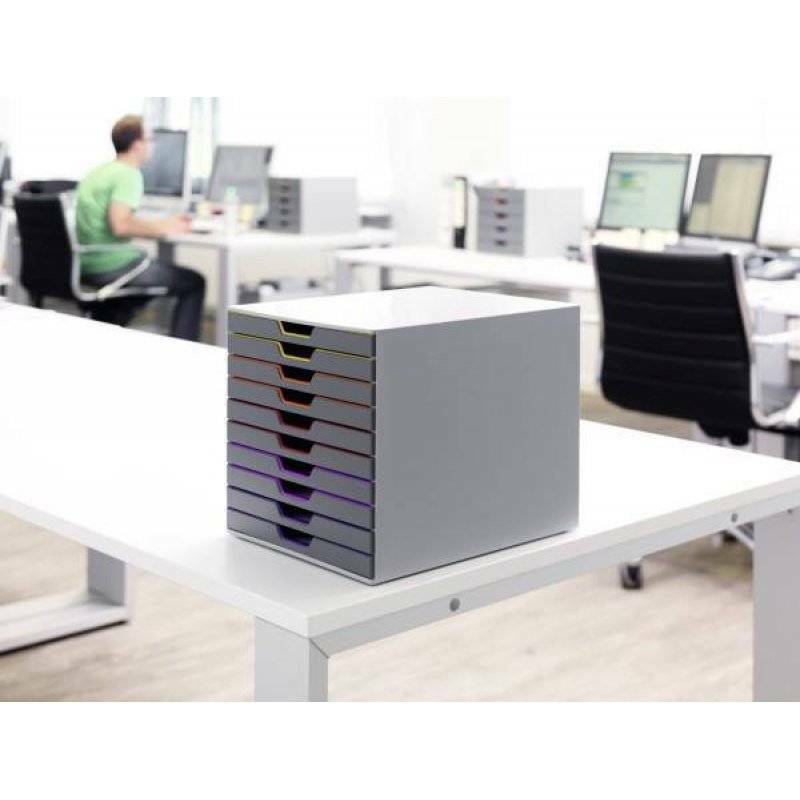 Suitable for side-by-side arrangement to fit into all standard office cabinets and sideboards.